You’ve seen the sea life theme art prints for kids at society6. Now you can bring these colorful creatures to the classroom, homeschool curriculum, or after school activities. Don’t let their simplicity fool you. 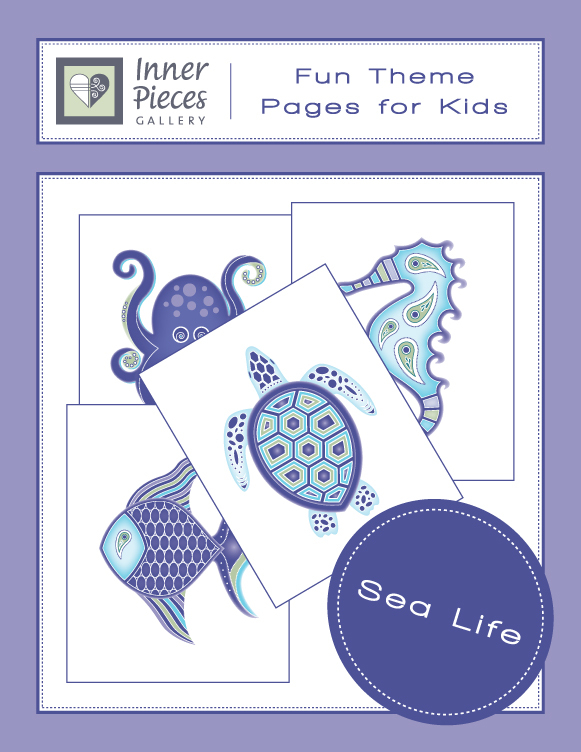 Here’s what’s included in the complete pack of sea life theme printable fun pages for kids. Coloring pages keep creative channels open AND strengthen fine motor skills. Besides all of that… coloring is fun. Mazes also strengthen fine motor skills AND enhance visual tracking abilities, very important for raising strong readers. Besides all of that… mazes are fun. Pattern and shadow matching pages strengthen yet another important visual skill. Visual discrimination helps readers easily recognize the difference between similarly spelled words. For instance, run and ran, cat and can, was and saw. Give your young readers these deceptively fun keys to succeed. Update: This fun pack is now available for free. Find it here.